You know when sometimes from weeks before you know a particular day or week was going to be busy and you schedule and plan and reorganise but it was just jam packed of things to do and you just have to do it. This week was that such week for me, not only was I racing over the county to see my beasties teachers and find out what they were getting up to in the hours where I can’t see them, but I was delivering the last lot of books I had for the old age home and the hospital this week as well. I got rid of alot of the stuff I had, like the Mills & Boons and the Harlequins – One thing I must say though is that those women know their books. I sometimes spend some time there reading as well – and they all want the juicy bit, they do me in, they really do. I most times get very, very embarrassed to be reading the horizontal mumbo to the equivalent of my Gran – but those old girls love the whole lot. I did read some erotica this week – I held the book right up to my face, I couldn’t look at them… so embarrassed. I got in a pretty decent amount of reading on my bag book this week as well and Heart’s Blood – Juliet Marillier is shaping up to be one of the best fantasy book of the year for more, I think I will spend today reading a bit more of it. Power and love can both lead to madness. 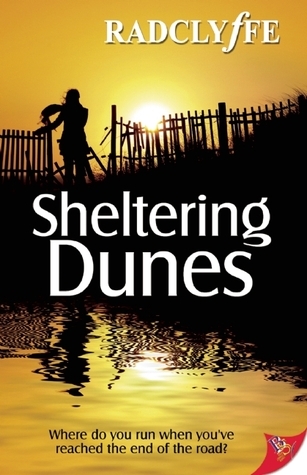 Nineteen-year-old Kyle sees visions of disasters, visions that tear his world apart. Everyone assumes he is schizophrenic, but Rob, the cop who picks him up off the street, knows better. Rob's own experience has taught him that psychic powers are real, and potentially devastating. Since his telepathic sister's brutal murder, Rob wants nothing to do with 'gifted' individuals like Kyle. Yet he can't deny his attraction to the beautiful, tortured young man - an attraction that appears to be mutual. When a brilliant, sadistic practitioner of the black arts lures Kyle into his clutches, Rob faces the possibility that once again he may lose the person he loves most to the forces of darkness. Hope your week had some surprises to it and I also hope you have something exciting to look forward to for the next two weeks, because I certainly have…. I think that's wonderful that you not only drop off books but read them a little as well. Not sure how I'd get through the juicy stuff and erotica no less! You are brave :D.
Congrats on your winnings, hon! Enjoy your two weeks overthere! I'm sure those ladies appreciate the books and the time you spend with them. You're awesome for doing that! Often people forget to look beyond the wrinkles, and they lose sight of the fact that these folks are still valuable, thinking, caring individuals. THEY CANNOT HANDLE THE TRUTH... nuff said..
Congrats on your win! Have fun! Thanks hon, I should be used to it by now, but every week, I have to prop myself up to face them..
Congrats on the fabulous winnings! Thank you... I plan to enjoy evey moment..
LOL reading about you reading the hot, saucy stuff to the oldies gave me a giggle, I would be exactly the same. It's a lovely thing to do and I'm so glad you enjoy it. Excited to see your thoughts on Heart's Blood, now I can't wait to pick it up! HEART'S BLOOD is so good... so good.. Seasons Greetings to one and to all !!!!! Waiting on Wednesday – Long Awaited..